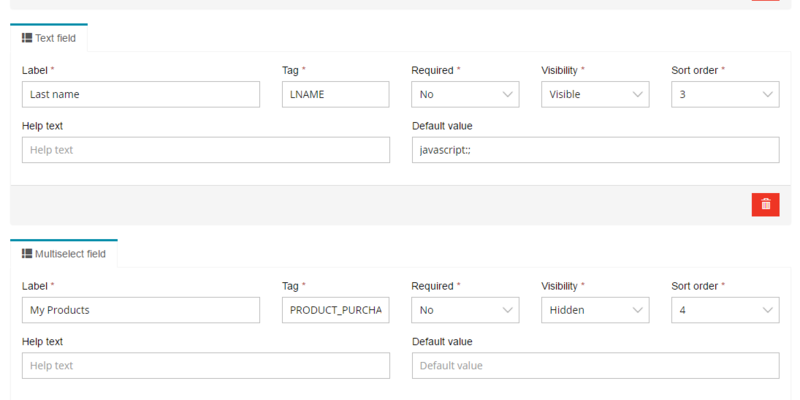 This feature “Tag Email Subscribers Based on Email Campaign Clicks” enables to tag an email subscriber with custom field, based on their activity of email clicks inside an email template. If your email template has multiple clickable links, then you can use this feature to tag subscribers separately. 1. To tag an email subscriber based on email campaign clicks, first create an email list and go to the “Lists” option. 2. Select a List and click on “Custom Field” option. 3. Create a new custom field of your choice, under which you want to tag a subscriber in the email list. Here you should define a text custom field. 4. Now you can start creating a new email campaign for the email, for this, click on “Create New Campaign” option from the left side of the screen, select a regular / autoresponder campaign. 5. 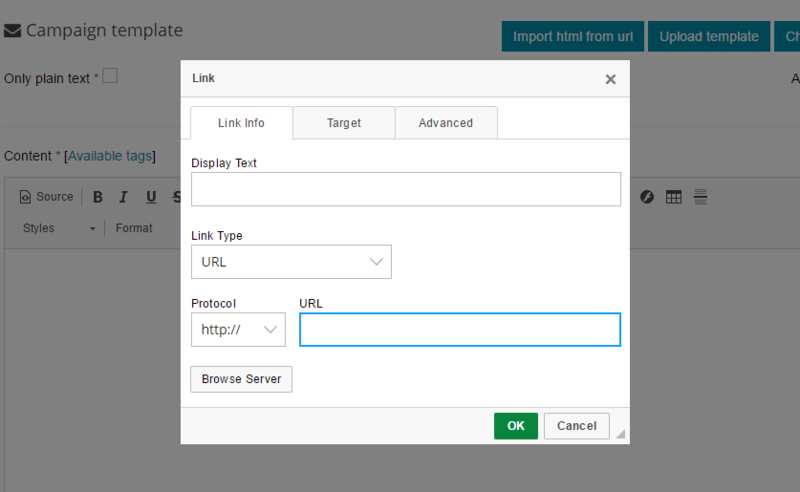 On next screen, create a template, add the hyperlinks to the email template, select “Link” option and browse the link which you want to the subscribers to click and below the email template editor, click on “Save Template Changes”. 6. After this, you will find “Change subscriber custom field on link click” icon. Click on “Add New” option. 7. Click on “Add New” option. 8. Choose the URL, Field and Field Value accordingly, Finally save and go to next step and send the email campaign. After this email campaign goes out and someone clicks on the link in the template, then the defined tag will be added in the email subscriber field.